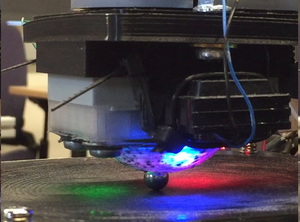 Ball rolling task - The robot rolls the ball along the target trajectory. 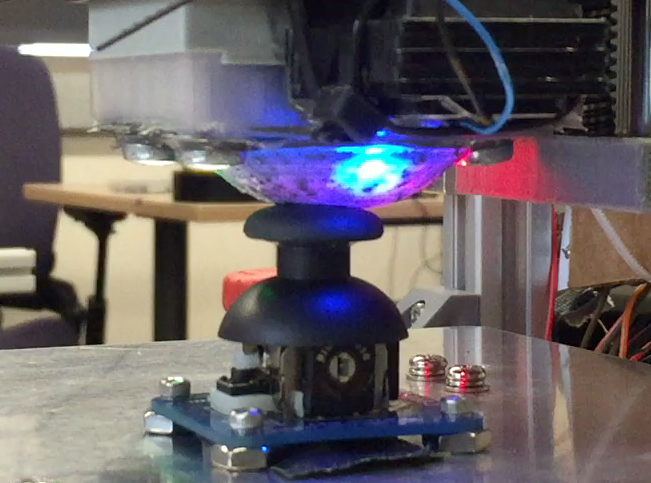 Analog stick task - To reach the target goal image, the robot breaks and re-establishes contact with the object. 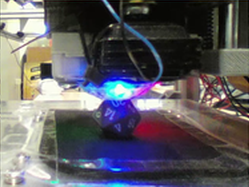 Die task - The robot rolls the die from the starting face labeled 20 (as seen in the prediction frames with red borders, which indicate context frames fed into the video-prediction model) to the one labeled 2. We would like to thank Sergey Levine, Roberto Calandra, Mayur Mudigonda, and Chelsea Finn for their valuable feedback when preparing this blog post.